Read more about Ohio ACTE's leaders - click here. CADD instructors and administrators won't want to miss this day of development and interaction with other instructors and administrators. The program will highlight Mayfield Schools collaborative program that involves other career fields and the community, culminating in a day of celebrating students and their accomplishments. Details are below, but you must register by Sept. 18. Click here to register. Welding instructors and administrators who want to improve their programs have an opportunity to interact with each other and experience RG Drage's new welding lab and program. Meet for one day Sept. 18 and leave with ideas to add spark to welding programs! View the agenda and details below and register online by Sept. 12. Click here to register. 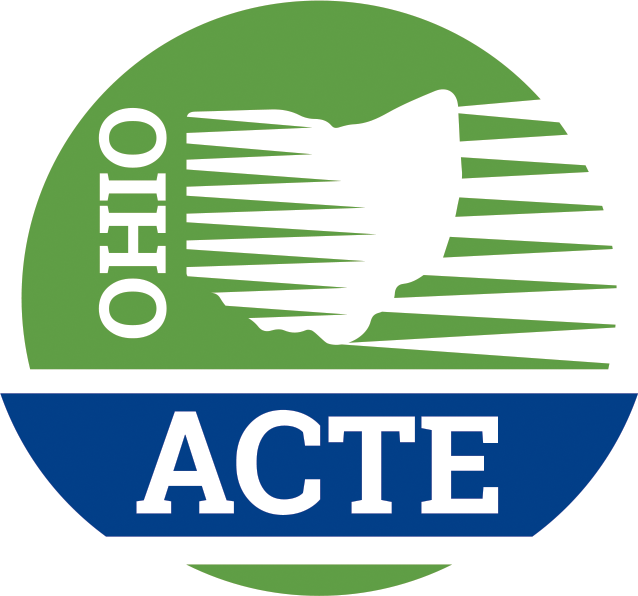 Join incoming Ohio ACTE President Nick Weldy, MVCTC Superintendent, for a day of business, education and leadership discussion, as well as a tour of Miami Valley CTC. Former Governor Bob Taft will be a special guest. Gov. Taft continues to be a supporter of career-tech and will share his perspective on education. Leave empowered with new ideas and perspectives! Organizational members - you and your leadership team are invited to attend for FREE! Click here for registration and to view the agenda. Ohio ACTE is part of a coalition of organizations lead by the Ohio School Boards Association (OSBA) who have helped plan the School Security and Safety Solutions Summit on Sept. 12 in Columbus. The is designed for district teams including administrators, board members, educators, school counselors, school psychologists, support staff, mental health professionals, parent leaders, law enforcement and other first responders. Click here for agenda, information and to register for this event through the Ohio School Boards Association. · Ohio School Resource Officers Association. The Capitol Square Foundation has created a transportation grant program with a generous gift from Honda of America Mfg., Inc. The program is designed to help schools defray bus transportation expenses to the Ohio Statehouse Museum Education Center. The grants are based on one-way mileage from your school to Columbus. The 2018/2019 transportation grant application will be available Wednesday, September 5 at 9 a.m. The application is not available prior to this date.